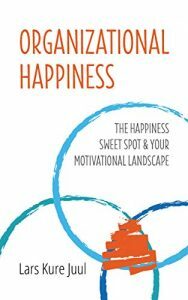 This book gives you a recipe for creating a unique competitive advantage and sustainable success by guiding you through the three pillars for organizational happiness—purpose, strengths, and compassion—and finding your Organizational Happiness Sweet Spot.It also outlines the evidence for how organizational happiness and great employee engagement boost business, and introduces you to the Motivational Landscape platform so you can measure, monitor, and follow up on organizational happiness and employee engagement as if your business depends on it. Because it does! Are you afraid that you will fail? Do you really want to start your own company; you are women, it will be difficult. These were comments Kimberly Caccavo and Kate Nowlan heard when they decided to stop talking about creating a company and buckled down and went for it. In this book, Graced By Grit, The Entrepreneurial Woman’s Companion To Starting A Business With Power, Passion & Purpose, two ambitious (and gritty) entrepreneurial women share their experiences and tools so that you can realize your dream and start your own business. This is a fun, inspirational and engaging tool that will guide you to start your business. Graced By Grit is a quick, fun read that will walk you through the steps you need to get your business or non-profit started from gathering your courage, helping you find ways to fit it in your schedule and developing a plan to make your dream a reality. 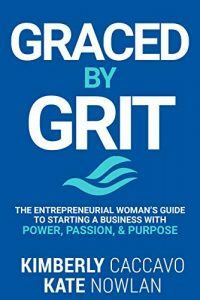 Graced By Grit provides you with the tools to build your business and shares stories of the incredible and inspirational women the authors met while successfully starting, building and selling their company. Salespreneurship” breaks down the old sales frames and promotes new ways to walk the path of successful and happy entrepreneurs. Planning, personnel management, marketing, and finance are important in growing a business, but sales can’t be excluded. Many entrepreneurs undervalue the importance of sales and are terrified by the prospect of personally conducting sales. So how can you learn sales and marketing and overcome your fears? And How to start a business? The author, Taesoon Shin, who suffered from sales phobia, realized that fear of sales should be approached as a psychological challenge best addressed at a subconscious level. He introduces new ways to approach sales and teaches entrepreneurs how to overcome their own fears. “Salespreneurship” gives you the tools to develop entrepreneurial know-how and business models that will survive. He advocates salespreneurship, a combination of “sales” and “entrepreneurship.” Salespreneurship is the entrepreneurial spirit that puts sales first. If you want to start a business that’s innovative and impactful, you have to start selling. Shin demonstrates how in the beginning stage of startups, entrepreneurs must be broken and built back up, and then grow with sales before they can scale up their businesses safely and successfully. Execute a project with fierceness. These concepts inspire the entrepreneurial spirit, and you’ll engage in them and other fascinating strategies to start your new business with zero investment! Shin’s Butterfly Investment—an amazing company that provides entrepreneurs with a new mindset as well as innovative business models—provides entrepreneurship development and guides startup owners to avoid half-grown businesses from external investments and loans. Butterfly Investment helps entrepreneurs start businesses without capital by following the zero-base startup model. Butterfly Investment is selling $1,000 memberships, has already made six-figure earnings with online sales only, and has created 30 companies with no capital. Moreover, Butterfly Investment is making profits by incubating these startup companies now. 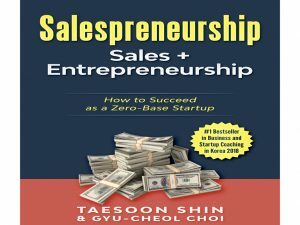 Take the journey with Taesoon Shin, the master of salespreneurship and the innovate startup ceo and succeed with your own zero-base startup. If you like business or want to start a business, my 4 real world businesses (all different) I started for less than $10.00 each , and grew each into successful ventures will be covered in my book.I have coined 6 rules for success that I have used ,and had many good comments on their simple but effective use .I cover 10 business topics from sales to marketing to corporate structure be that public or private, law suits , to selling out for a profit in each of the ventures as they apply.I am available for assistance for your venture once you have digested my easy to follow book ,by email .We all will have to step off our porch, which is our comfort zone to begin our business, but we can be very successful with the right rules to follow. Grab a copy of the book and let your mind begin your next business venture. The number one way to get the job you want is to prepare. But how do you stand out when there are so many other qualified candidates? 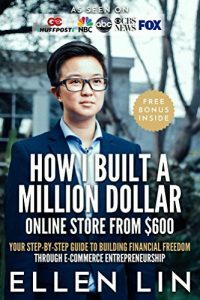 Read this book with bite-sized retainable tips on how increase the odds that you’ll get the job you want. The chapters are easy to read with packed information that you can read on-the-go from your mobile phone, reader or laptop. This year – Seniors are a prime target for “Professional Scammers” and will lose billions and billions of dollars. Philippe Yaconelli – a retired professional CEO has spent thousands of hours accumulating information on this subject and provides an easy to understand “Roadmap” on how to arm ones self to deal with the reality of today! The Everyman’s Mentor is an accumulation of several decades of “in the trenches experience” that is invaluable for Seniors. 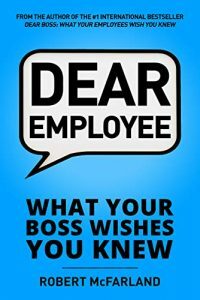 In this book you’ll watch as an extraordinarily effective and amazingly nice manager, Mike Mitchell, handles all the challenging management situations. Mike deals with even the most troublesome management situations so smoothly you’ll say, “Why don’t I do it like that? !” And he gets legendary results—not by being a hard-driving taskmaster, but by being nice. Do as Mike does and you’ll be a legendary nice manager too. If you are searching for a comprehensive strategy to gain clarity of purpose and increase your productivity so that you can live the life of your design, this book is for you! After spending 23 years working with 170,000 accountants in 30 countries Rob Nixon has worked out what a Perfect Firm might look like. Nixon, who has directly coached 800 firms to success and educated tens of thousand more, is the worlds #1 authority on how accounting firms can achieve peak performance and build a great accounting business. * A process for engaging your team in new ways. 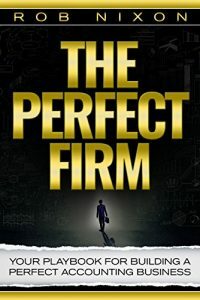 The Perfect firm is your playbook for for building a perfect accounting business. Interviewing is notoriously difficult. But, this book will make you a better interviewer. 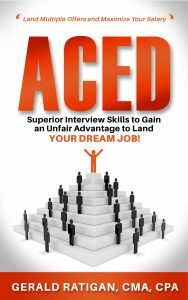 After reading this book, you’ll soon be able to build immediate trust and credibility with your interviewer. You will possess more confidence. You’ll be prepared and in control like never before. Mastering Interview Skills to Land Your Dream Job Is within Your Reach! This is the single most important book for you to land your dream job. Because I have been where you are and understand what you are going through, I have the solution to help you change your career for the better. You can land your dream job. But how? Imagine how your career could be different if you knew exactly what you needed to do in your most important interviews every single time. That’s exactly what I’ll show you how to do. 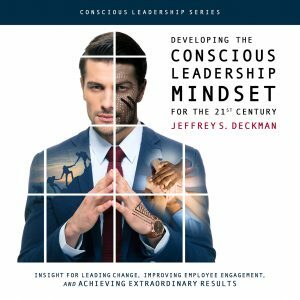 In this book, I share my decades of experience as both a job candidate and as a hiring manager. Over my career, I’ve interviewed numerous times for all levels of management. I’ve also interviewed hundreds of job candidates. I wrote this book to help you to LAND YOUR DREAM JOB! Research Shows—Action Takers Have the Most Successful Careers! While this book is your opportunity to land your dream job , you must be committed to transforming your career fortunes and making a huge, measurable impact during your next interview. To land that job, you must be willing to work for it. And that’s why you’ve got to take the next step in pursuit of interview mastery right now because before you know it, this opportunity will have disappeared and your competition will be offered your job . . . Your Dream Job! Think and Grow Rich is the bestselling self-help book of all time. 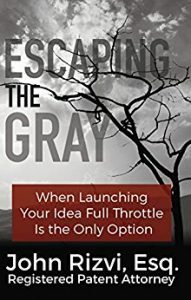 Now, patent attorney John Rizvi applies a unique twist to the lessons Napoleon Hill offered to millions of would-be entrepreneurs, making them relevant to inventors and innovators of all stripes. John has helped hundreds of inventors in realizing their dreams, from modest success stories to clients who sold their intellectual property for hundreds of millions of dollars. 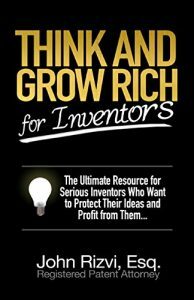 Think and Grow Rich for Inventors is the distilled essence of John’s experience over nearly two decades of directly and personally guiding inventors through the often frustrating process of obtaining a patent in the US and abroad while working to understand the deeper passions that dive them. He brings a personal touch to the ideas Napoleon Hill codified, describing his own experiences with these principles in unflinching, often humorous, sometimes self-mocking, always thought-provoking terms. Think and Grow Rich for Inventors is geared specifically toward people with big ideas and the drive to make them reality. If you have an idea or a dream, this may be the most important book you ever read, filled with hard-nosed, practical advice and commentary drawn from observing the best and brightest America has produced. This book is not a manual but a road map to help the dreamer, the creator and the inventor harness their potential and change their lives by tapping into the power locked within themselves. Good and effective communication is the key to success. 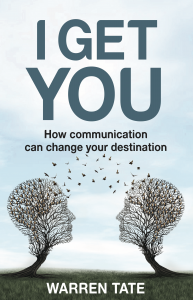 I GET YOU offers a practical approach to unlocking your communication super powers. We use between 16,000 and 45,000 words every day. So communication must be easy, right? Wrong. We’re constantly competing with the internet, social media, email, lack of time and the general noise of life. Are our messages being heard and understood? Do we stop and really listen to others? When was the last time you practised and improved your face to face communication skills? How you communicate in sales presentations, sales meetings, social occasions, networking or when meeting people for the first time can influence your outcomes dramatically. I GET YOU helps you to transform your business communications and personal communications so your messages are clear and meaningful. Use its strategies to become more in influential, develop stronger relationships and change your destination. Experienced speaker and mentor, Warren Tate, takes you on a journey of continued development with every chapter. He makes complex, scientific-based principles simple to understand, so you can clarify your message. He also reminds us that communication is two-way. Consider the listener as well as your message. Warren shows how successful face-to-face communication can be learned and mastered. Of all the things Neena Allen dreamed of being when she grew up, an escaped convict on the run wasn’t at the top of the list. A little bit of bad luck and a whole lot of injustice might have landed her in her current predicament, but Neena wasn’t the kind of person to let others determine her course. Presumed dead, she stumbles into a sleepy Arkansas town where she finds refuge with a kind family and glimpses the chance for a real home, a place to belong. But leading a double life isn’t easy, especially when you fall in love with the town lawyer. To complicate matters further, a tenacious reporter gets too close to the truth and Neena finds herself on the run again. With a manhunt underway and her newfound happiness at risk, Neena is forced to face the painful memories of her past and decide her future. Should she fight for her new life or leave behind those she loves to keep them safe? Jailbird is a surprisingly warm and humorous tale about the power of hope. Good communication is the key to success. I GET YOU offers a practical approach to unlocking your communication super powers. When was the last time you practised and improved your communication skills? How you communicate in presentations, meetings, social occasions, networking or when meeting people for the first time can influence your outcomes dramatically. I GET YOU helps you to transform your business and personal communications so your messages are clear and meaningful. Use its strategies to become more in influential, develop stronger relationships and change your destination.